Being successful in trading has a lot to do with finding the developing “story” behind the price structure of a market. We had good results in February because we keyed into some very important pieces of market information that would lead to a likely result for the direction of price, or what we call “the story of the market.” We had less success in March because the focus was more on trying to catch up to the story, where being just a step or so behind is not as rewarding, even resulting in loss. For the past several weeks, we have shifted focus on what we see as the truer “story” of the PMs market, [Precious Metals]. Some may think we have gone off on an unrelated tangent talking about the elites and fiat currency. The PM community has maintained a relentless focus on how much gold is being imported by China, the diminishing supply of physical gold at COMEX and LBMA, and a host of other popular statistics that support what seems to be important for gold and silver adherents in their beliefs that should ultimately lead to higher prices. The Law of Supply and Demand is what determines price. Not enough are looking at how the elites are able to distort that Natural Law and bend it to their will. It is the power they can exert, and distort, on any aspect of human life, at least in the Western world, that keeps gold and silver at unnaturally low prices. The more cogent issue is, for how much longer can elites keep their unnatural control over the natural forces of Supply/Demand? Longer than most expect, which is what we have been saying for some time. It is quite possible the disappointing expectations for 2013 may repeat in 2014. Here is how we see the developing “story” that explains why gold and silver have not changed trend. 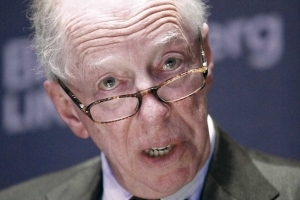 We cannot think of any sentence that has had, and continues to have a more pervasive, as well as perverse, influence over mankind than this one, the key to the Rothschild dynasty in its quest for world dominance. Nor is there any more corrupt and criminal enterprise than that led by the elites with their absolute control over the Western financial world and the entire Western political landscape. Almost all Americans live under the delusion that they still enjoy freedoms guaranteed by the organic Constitution, not recognizing the bait-and-switch federal constitution that only grants privileges, not inherentrights. The Common Law, recognizing God-given natural rights, has been replaced by pagan Roman law, which is statutory. Law by statute should be a huge clue for the uninformed that something is wrong, but few ever think to question anything promoted by the bankrupt corporate government. What does this have to do with the price of gold and silver? Everything! Another huge clue over this is the factthat several indicators of unprecedented demand for both gold and silver have had zero impact on the market. For the past few years, the only focus by the gold and silver crowd has been how many tonnes of gold China has been importing, marveling at the record amount moving from West to East, trying to calibrate as closely as possible how many tonnes it is. It should be enough to know that it is a record amount and that it continues to this day. Instead of expending so much time, energy, and effort determining numbers, just accept it as a given. It has been priced into the market. The more pertinent question is why has this widely known and accepted factual circumstance not had any impact on the price of gold? Does everyone really need to know how many gold and silver coins are being bought by the public from issuing mints around the world? Is it really important to know how much gold is being smuggled into India? Is there anyone who keeps tabs on PMs that is unaware that Switzerland has been running shifts around the clock recasting gold to meet Chinese preferences for smaller bars that are .9999 fine? More information already priced into the market. Yet, all this has been the heart of reporting by the PM crowd, plus coverage by the most respected minds in gold and silver, all end up concluding that gold should be $10,000 the ounce, silver $150 – $250 the ounce, or even higher for both. What are the current prices for gold and silver? Gold is about 13% and silver about 10% of projected prices. What is wrong with this picture? Almost everyone is looking at the same information and maintaining the same expectations, and all are missing the less obvious but more relevant reasons why gold and silver struggle. Their “story,” while valid, is wrong. A common trait shared by Lincoln and Kennedy is that both decided to issue a U S currency that was not central bank-created. Both presidents were “destroyed.” Reagan decided to shrink the federal government, ignoring the “rules of the game.” After a botched assassination attempt, Reagan went on a huge federal government expansion. He got the message, “Play by our rules, or else.” He also got lucky. These are the more famous people who displeased the elites. Less is known about the recent dozen or so bankers who were “suicided.” The fact that one chose “suicide” by a nail gun, firing several into his body before determining he was not succeeding and needed to give himself one in the head, should remove any question from any doubter that these were not self-directed choices, in every instance. The point is to convey the degree of power exercised by the elites, and there is no doubt about the fact that they control every aspect of your life, how you live, what you read and watch, what you eat, and of late, what little you can say or do about it without being branded as a terrorist. No disrespect to the well-deserved respect for the precious metals pundits and the legion writers with expertise in the precious metals arena, but none are addressing the failure of the natural order of supply and demand as the supposed source for determining price. There is a power struggle going on between West v East, and until it plays itself out, the West has a vested interest in suppressing the price of gold and silver in order to preserve the worthless fiat “dollar” as the elite’s chosen world reserve currency. Look at the lot of Cyprus, Greece, Ireland, whose populations have been forced to pay to keep their failed banks alive. It would have made more sense to let the insolvent banks fail, but the elites will not tolerate such fate for their corrupt system, for it would then have a domino effect on the rest of every other insolvent Western bank, propped up by the dictates of unelected officials: all central banks, BIS, IMF, the EU, etc. 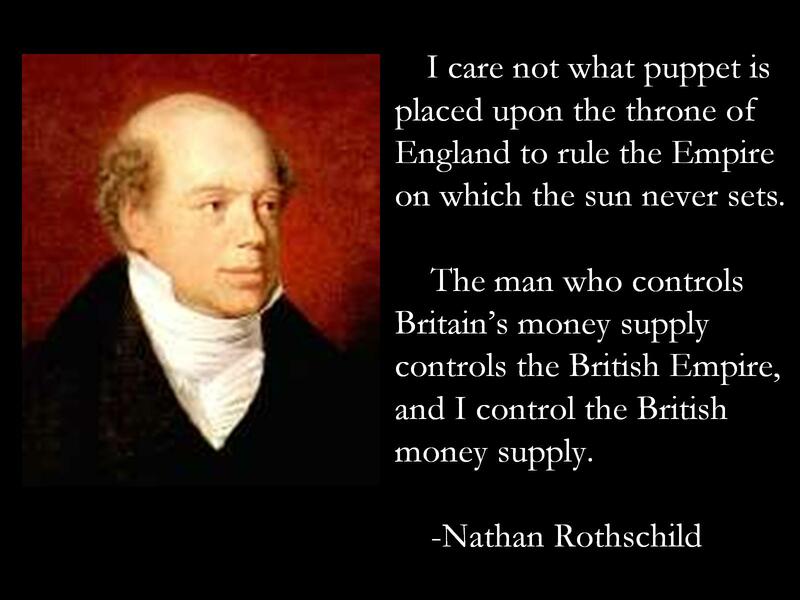 Once one begins to understand the profound impact that sentence has had since the Rothschild dynasty took over the Western world, unnoticed, unseen, but very much present in ways most people cannot fathom. Unless and until people start to question why things are the way they are, nothing will change. Well, that was until China decided they did not like having their gold stolen from them by the Western central banking cartel. China does not stand alone. The formation of the BRICS nations has been in response to the reckless abandon with which the US has been exporting it inflationary Treasury Bonds, backed by the petro-dollar as the world’s reserve currency. The ever-growing Eastern bloc of nations is in the process of putting an end to Western world financial dominance via fiat: fiat “dollar,” fiat Pound, fiat Yen, fiat Euro, fiat Franc, etc, etc. China has been accumulating as much of the world’s supply of gold as it can, [the focus of the PM community], and the accumulation has been at bargain-basement prices. China has no interest in seeing the price of gold rally, certainly not during the phase of accumulation that will then lead to mark-up. That country is willing to accommodate the West in suppressing gold during the last phase of their waning power. History tells us every fiat currency fails. It is just a matter of time. China is well aware of the fate that faces the West, and China is willing to let that demise take its natural course. Here are some clues China has given that most PM analysts are not addressing. China’s time frame is much longer than the “do it now” time frame in the West. The reason China will not interfere with the West’s misguided intent to suppress gold: for one, China gets it at low prices. For now, China wants to keep the Renminbi stable, [even a little suppression going on there]. It does not want to tie its currency to gold because it would immediately cause it to rally sharply. Staying pegged to the US “dollar,” instead, its currency resembles the other international currencies. Unable to match the “creditworthiness” of the “dollar,” China’s currency officially remains somewhat subordinated to the US fiat. Were the Renminbi allowed to be gold-backed, China’s currency would then become too strong, relative to the rest of the world and put China at a competitive disadvantage. For as long as China wants to remain low-key, it prefers a lower gold price. If the world’s largest holder of and greatest demand for gold does not want to see it rise in value, and the West does not want gold to rally, that may be enough to keep the paper game alive. Consequently, do not expect China to be a catalyst for establishing a gold-backed currency. It serves China best to allow the West to maintain its duplicitous control over gold and silver. 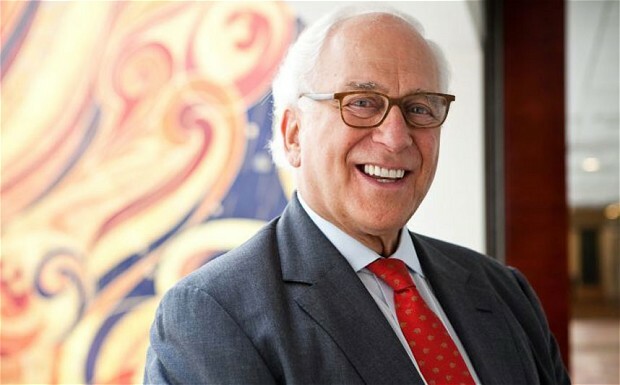 With no country in a hurry to have a gold-backed currency, one of the biggest factors for seeing the price of gold sky-rocket is off the table. This factor is far more significant than all the demand statistics paraded each week by PM writers. We keep saying to pay attention to the charts. They show no signs that would lead to any panic by the West. For as long as the elites remain in control in the West, gold and silver are just a few more [manipulated] commodities. The power of the elites denies the PM of their true status as money. The East is in progress of making a change. One sign of the West’s determination to hold onto power is Obama’s pimping for the elites, telling Russia sanctions will be imposed over the Crimea situation. Russia is entering into a barter with Iran, exchanging oil for Russian goods and using the Ruble for any contract, eliminating the US petro-dollar. Obama issues yet more threats of sanctions, all because Russia chooses to buy oil from Iran and use its own currency in a trade in which the U S has zero involvement, other demanding Russia use US currency. Obama to Putin: “We are imposing sanctions on Russia, [but we still want you to use our "dollar" in all your trade agreements]. No one knows when things will change but change they will, and only then will the price of gold and silver find their natural level. It is always worth making the distinction between buying and owning physical gold and silver v futures. We encourage buying and personally holding the physical to the extent of one’s ability to buy both on a consistent basis, regardless of price. The endless printing of digital currency ensures the financial picture for the U S will end badly. Those without gold and silver will suffer considerably. Those with physical gold and silver will also suffer, but they will be better positioned to survive the financial chaos sure to follow. The futures charts are a proxy for pricing physical gold and silver and a measure of how the elites are succeeding in keeping prices low. Whenever that financial grip is loosened, [before it is lost], we expect warning signs to show up in the charts, first. The high volume from 2 weeks ago, while registering as a sell-off bar, is viewed more as a positive than a negative development. That volume increased over the previous week and is the highest volume bar since last June, deserves closer attention for that reason. As volume increased that week, the price range narrowed. This tells us buyers were not only meeting the effort of sellers, buyers were also stronger than sellers which is why the range was unable to extend lower. Also, there was no further downside follow-through, reiterating sellers were not in control. Last week’s reaction rally was a small range effort, but price closed on the high of the range, so a small plus for buyers. The decrease in volume was more indicative of a lack of sellers. Starting with Friday’s rally, it was a wide range bar to the upside with a strong close, and volume increased. Buyers were clearly in control for the day. “D’ was also at the half-way retracement area from recent low to recent high, and when price can hold a 50% correction area, it is viewed as a positive sign. More importantly, Friday’s rally erased the selling effort from the highest selling volume and following two days’ effort. Those who sold are in a losing position, and if price continues to rally, those sellers will become buyers to cover their losing position, adding to the buy side activity. From a futures perspective, because of the high volume activity, 6 bars from the end, we were buyers of futures on the Wednesday rally at 1292. Silver remains weak, period. Since the failed swing rally of last August, the next 2 swing high rallies were respectively lower. The one positive takeaway is that the 3 bar rally in February has taken 6 bars to correct. It is taking twice as long to not even fully correct the gains from February. That speaks to the validity of silver being in a support area. From a daily perspective, buyers need to step up, now. Friday is a higher low, higher high, and higher close bar, but the location of the close indicated sellers were able to push the buyers around by the end of the day. Long positions were also recommended in futures on Wednesday’s rally, just over 20.